I have a new kit available for you today. 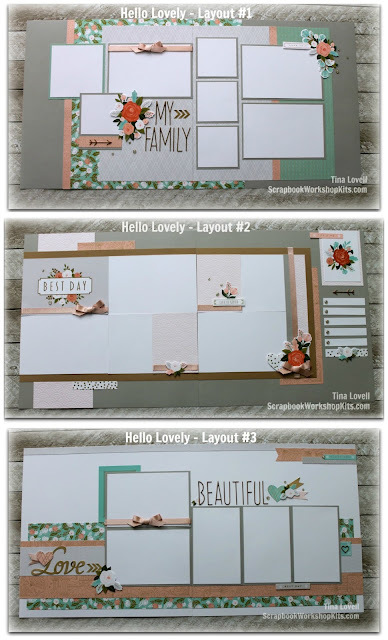 It is called "HELLO LOVELY" and is a 6 page scrapbook kit that features items from the Hello Lovely paper collection from Close To My Heart. As always, my kits come pre-cut and ready to assemble with everything you need to create all 6 pages. This kit also comes with an entire roll of Blush Shimmer Ribbon as the kit uses a lot of ribbon. This pre-cut kit is now sold out but I do offer the Cutting and Instruction templates for FREE with any $25 order from my website.